As of 2009, the American College of Obstetricians and Gynecologists (ACOG) reported that almost one-quarter (22%) of all pregnant women in the United States underwent induction of labor. This figure had more than doubled since 1990. Of course, many women have inductions for medically-indicated reasons, but elective inductions are also popular for reasons of convenience or to choose their child’s birth date. According to ACOG, a birth is not deemed preterm unless it occurs before the 37th week of pregnancy. Even so, evidence has shown that birth prior to 39 weeks 0 days of gestation carries risks for the baby. Because of this evidence, many OB-GYNs are understandably reluctant to induce labor in their patients without a compelling medical reason before the 39th week. On the other hand, a late-term pregnancy is also not desirable. ACOG defines such a pregnancy as between 41 and 42 weeks of gestation, and a post-term pregnancy has extended beyond 42 weeks. Such pregnancies can pose significant risks to both mother and child, and ACOG states that labor induction can be considered between 41 and 42 weeks. In post-term pregnancies (past 42 weeks), ACOG usually recommends induction of labor. What about women who are between 39 weeks 0 days and 39 weeks 6 days of gestation? Can OB-GYNs safely induce labor in these patients electively, meaning without a medical reason? Many specialists avoid elective induction of labor in this group because, until recently, there has not been much evidence published to support a decision either way. But The New England Journal of Medicine recently published a study that sheds light on this question. The aptly-named ARRIVE trial followed 6,096 women randomly divided into two groups: 3059 that would have induction of labor at 39 weeks 0 days to 39 weeks 4 days of pregnancy and 3037 that the researchers assigned to expectant management. In other words, this group of 3037 women served as the control group and were allowed to go into labor spontaneously. The ARRIVE investigators hypothesized that elective induction at 39 weeks of pregnancy would result in lower numbers of newborn death and serious complications when compared to the expectant management approach. The researchers considered serious complications to be events such as the baby needing respiratory support, seizures, pneumonia, sepsis, birth trauma, and other severe health problems. They predicted that 3.5% of the expectant management group would experience perinatal death or serious complication. The investigators instead found no significant difference in the rate of severe complications between the two groups of pregnant women. Interestingly, there was a significant difference in the two groups when it came to the rate of cesarean section (C-section). In the induction group, 18.6% of the women underwent a C-section delivery, while this number was 22.2% for the expectant management group. 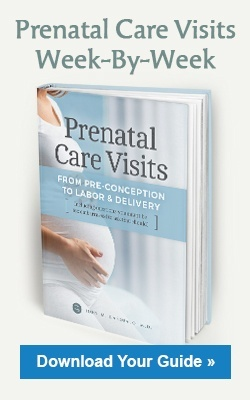 The results of the ARRIVE study suggest that elective induction of labor at 39 weeks is no riskier for a young, healthy first-time mother and her child than spontaneous labor. Furthermore, induction of labor under these criteria may also somewhat reduce the likelihood of having a C-section. Naturally, these conclusions do not apply to all pregnant women, and you should always make any decision regarding inducing labor in consultation with your OB-GYN. Know what to expect during your pregnancy and prenatal appointments.